Reposition the face and neck muscles and remove the excess skin. This surgery is also called Rhytidectomy and it is used to reposition the muscles and remove the excess skin of the face and neck. As years go by, face muscles and skin sag and form a double chin, wrinkles on the cheeks, nasolabial folds (expression lines that goes from the nose to the corners of the mouth) and “marionette lines” (from the corner of the mouth to the chin). This procedure gives you a youthful and restored appearance far more noticeable than nonsurgical treatments. A Facelift is for severe cases that cannot be solved by facial fillers and Botox treatments. 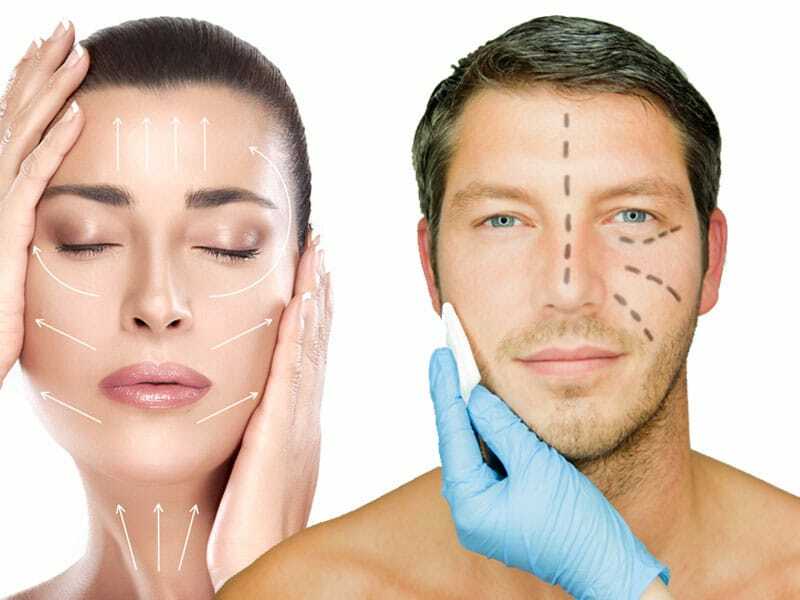 Although, those procedures can be complementary to this surgery as well. The surgery begins with incisions made in the front and inside of the ear, the incision line follows surrounding the lobe till the groove behind the ear. The skin is peeled off and the muscles are rearranged to the expected position. Excess skin is removed and the incisions are closed. When the procedure is completed, a bandage or postoperative garment is placed around the face and neck to reduce swelling and bruising. In some cases, a small drain is placed to prevent fluid accumulation. Inflammation disappears over a period of 4 to 6 weeks and through the first 6 months you may notice gradual changes in terms of the appearance until the final permanent appearance. The surgery is usually done with an overnight hospital stay. There may be two small drains placed and then removed the day after the procedure, the sutures will be removed a week later. We remind you that personal care and attention to medical indications permit a much faster recovery. Will the natural shape of my face change? The shape of the face is maintained, but the features are more youthful because the skin is no longer flaccid. Keeping your skin well cared after the surgery by following the medical indications. The effect is permanent but does not stop the ageing process.